Shame I didn't see this earlier as it is a good deal. When I try to use to the code, it says it expired on the 31 Dec 2018. I'm fairly unfamiliar with HUKD's but it seems to me the deals are rarely legitimate. I clicked on 'get deal' and cheapest offer from this hotel is £73 per person ... This happens with most 'deals'. Am I missing something? There's a Hilton in Shavland? Agreed, but I'd rather spell it Silicone. Best thing to do is slip in one side and straight out the other. XD ============================================== As to them calling the new shopping centre The Lexicon, the last time I looked a lexicon was a "collection" of words, not a "collection" of expensive shops and restaurants. The deal may very well be a deal (if you arrive with your eyes closed and never leave the hotel, except to go home) but, if this were my idea of a fun night away, I'd choose somewhere more pleasant for my treat, even if it cost a few quid extra? Currently undergoing a refurbishment. Would leave it a couple of weeks before booking. Hi, would anyone know if they check the children's ages if one slightly over?? Do you think it's worth the risk, do they check!!!? the entrance to warwick castle, do you get a voucher to show at the door, or just show email from booking?? price seems to stay the same if you select privilege room...whats better, privilege room or suite? Heat added although the hotel is 30 mins away and looking at reviews appears to host a lot of weddings that can be noisy, especially weekends. Title is bit sexist, love a good wash and blow dry. is it better getting the evoucher and ringing up to book? As when I try to purchase the other option it does not allow me to prebook dinner / afternoon tea or any spa treatments? It's the one night Sunday Spa break. Comes up automatically as a popup for me from the "Get Deal" button. Have you got a popup disabler running? so many offers up to £179- which one is it? Looking at the times the swimming pool is actually not in use will give you about a 5 minute slot, lol. Other than that, looks a good deal. Location in headline would help! It's from MSE New to Treatwell (or Wahanda)? Enter the MSE Blagged code MSENEW10MUM to get £10 off a £25 spend. There are only 1,200 codes available, so go quick if there's something you're after. Already used Treatwell (or Wahanda)? If you've ever booked through Treatwell or Wahanda, enter the MSE Blagged code MSE10MUM to get £10 off a £25 spend. There are only 400 of these codes available, so you'll have to go quick. People abusing stuff again,ruining it for people,I thought this would have been great for my Niece but I was too late and they changed the terms. A Wahanda spokesperson said: "This offer was originally launched for Stylist readers and has been live for nearly a week without incident. "Unfortunately, after the offer was featured in MSE, we saw an overwhelming number of incidences of fraud. "In this instance, we were not able to deal with the fraud independently of the entire offer, as this has implications for our supply partners which would make the promotion entirely unsustainable. "To avoid turning off the deal entirely, the only feasible solution was to attach a £20 minimum spend — we kept all other aspects of the offer unchanged." MSE confirmed the following, and they are not happy! Important update 10.30am, Wed 5 Jun: Despite telling us that no minimum spend applies for this code, this morning Wahanda changed its mind and put a £20 minimum in place when making bookings. We find this unacceptable, but despite pushing hard to stop this change, Wahanda will not reinstate the offer it originally promised. It's said it will honour all purchases made using the code prior to the minimum spend being introduced. where i need to put the code?i cant see any promotion code box. You get the five pounds when your friend buys something. The only reason I got my £5 without recommending a friend is somehow I got a message pop up and I entered my email and postcode and £5 was sent to my account. Can't get this to work. I have now joined with 3 email addresses using the recommend a friend links but still no codes sent to me and none in my Wahanda account? I don't know what I could possibly be doing wrong. Some message popped up for me whilst browsing the website and I filled out my e-mail and postcode and it worked. New Wahanda customers can now get a Haircut, Blow Dry and Conditioning at Burlingtons Salons for only £20.00. this is still a saving of £62.00 over the regular price. 82 quid for a haircut!!!! Previously known as Wahanda, Treatwell was launched in 2008 by Lopo Champalimaud. The aim is to bring together salons from all over the country on one website, listing the treatments available and their special offers. 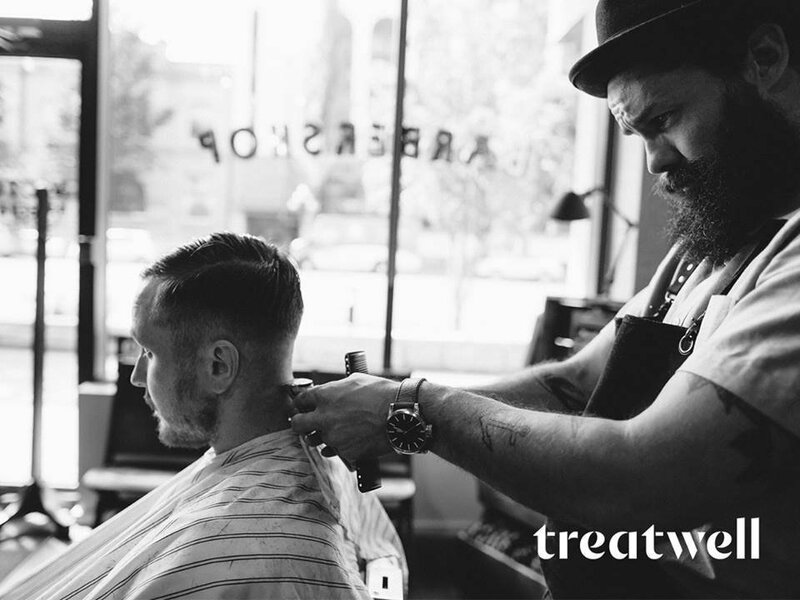 Customers can connect with any salon that’s registered to the site, then browse treatments and make bookings through Treatwell. They now work in partnership with over 10,000 local salons, spas and hairdressers. 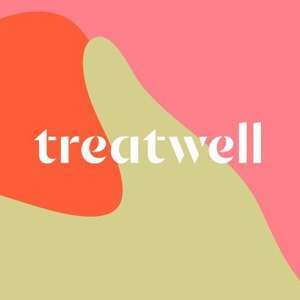 Treatwell is based entirely online and bookings are made through their website at www.treatwell.co.uk, however, the listed salons all have physical outlets located around the UK. To find a participating hairdresser or beauty therapist near you, go to the Explore Salons section on their website, then choose the treatment you need from the drop down menu. Next, navigate left to the salons listed for that specific treatment. What’s available on the Treatwell website? Hair: In this category Treatwell lists a variety of hair treatments, cuts and colours, from Brazilian blow dries to personal consultations and keratin conditioners. There’s an explanatio n of each, so you know if the treatment is right for you and a list of venues where they are offered. Hair removal: Treatwell includes an explanation of the different types of hair removal in this section. You can find out more about facial and male waxing, along with threading and laser removal. There's a link to other types of hair removal and a list of available salons. Massage: Customers can learn more about Stone, Thai, and Aromatherapy massages in this category. A Massage Insider Guide and a link to other types of massage with available salons is also included. Nails: Manicures, pedicures and gel nail treatments are detailed in this area, along with information on the type of pedicures you might prefer and inspirational nail looks. A link takes you to other nail treatments and a list of the salons that offer them. Face: From facials, to microdermabrasion, eyelash extensions and brow shaping, this is where Treatwell list all their facial treatments. They include a makeover section and a link to other facial treatments, including the locations where you can make a booking. Body: Here Treatwell list their range of tans, wraps and exfoliating treatments for the body. There are also many steam rooms and saunas, and a section on summer looks. If you click through to the other body treatments, there is a list of salons providing them. 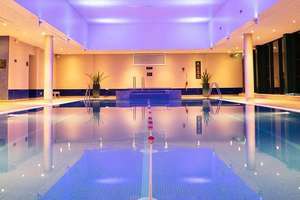 Spa days and breaks: If you’d prefer to spend an entire day or more at a retreat, then this section under Spa Breaks is where to look. There is a list of available getaways, articles on which to choose, and a long list of locations within the UK. 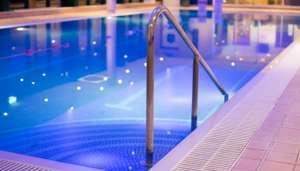 On the Spa Days and Breaks section of the Treatwell website there is a section offering 50% off regular prices. In other sections there are many extra offers including deals of between 10% and 50% off full prices. These are spread throughout the site. They also provide regular promo codes on special days like father’s day, discounts for students, and reductions on spends of over a certain amount. These are promoted on their various social media pages, in customer e-mails, and on their website. When you make a booking through Treatwell you need to open an account by giving your personal details, but you can choose to opt out of their beauty news e-mail. As a member you can select a nickname and an avatar for interacting with the rest of the Treatwell community. You can leave reviews of the salons you visit through treatwell.co.uk and pose beauty questions to other users. The Treatwell website provides a huge amount of information on each treatment offered. It lists all the most popular options and also many unusual therapies, each of which are illustrated with guides and images. After you have selected a venue, treatment, and time for your visit, you have three payment options. Treatwell accepts Visa, MasterCard, and American Express credit cards. Alternatively, you can use PayPal, and some salons also allow clients to pay upon arrival. How does the Treatwell Booking System Work? With Treatwell each salon has an online diary that’s linked to the website. You can see when slots are available and there’s also a price list. The software is synched with both the salon and Treatwell, so when you make a booking through the site, it is immediately visible to the salon as well. All you need to do is take along your order number or show the conformation e-mail you’ll be sent after the booking is finalised. If you make an appointment for a specific time and date, Treatwell have a 24 hour refund guarantee. If you change your mind within 24 hours you are usually entitled to a 100% refund, paid back via the original method of payment. After 24 hours a credit note for the full value will be offered, these are valid from 6 months after they are issued and can only be redeemed with Treatwell online. All refunds are subject to a Partner Cancellation Policy, this means that partners may have their own policies with regard to cancellations, these are available at the time of booking and their decision is final. Treatwell is very active on social media with a number of accounts that are used to chat with the clients and publicise offers or new treatments. You can contact them on Facebook, follow their latest news on Twitter, link up with them on Google+, look at their pictures on Instagram, or watch videos of their services on YouTube. The Treatment Files is a blog where different treatments and style ideas are explored in numerous articles. The Treatwell app is available for iOS users through the App Store and through Google Play for Android users. Once it has been downloaded, clients can log into their account and have access to over 10,000 partner salons across the UK. You can make bookings, browse treatments, and read recommendations from other users. If you have a problem or a question about any aspect of the Treatwell service, you can contact them via phone on 0330 1003515. Their offices are open between 8am - 8pm Monday to Friday, from 9am – 6pm on Saturdays and 10am – 6pm on Sundays and Bank Holidays. Alternatively, you can e-mail them at help@treatwell.co.uk, or look for answers yourself by reading through their FAQ pages. Customers looking for the best prices can browse the dedicated Treatwell page at HotUKDeals, where all their latest promotions, codes and bargains are listed.